Here we are, a month away from the 2nd major of the year and this past week Tiger Woods gets his 4th win in 7 starts, the fastest start to a year for him. At the rate he’s going he will live up to the overwhelming favourite status, however I do believe despite there being little evidence so far, he is still beatable! He is making mental errors (drive at 14 in round 4 at The Players) that he didn’t make in his prime, and although he did recover well and get the job done, things like that could be what cost him in a major championship, so he’s not a certainty for me just yet. I am writing this preview, still feeling incredibly disappointed not to be announcing another profitable week, as Sergio Garcia arrived at 17 tied for the lead with Tiger, only to find water at the infamous hole. Twice. He went for a shot he thought he could pull off at the time, going for the win and as frustrating as it was, I hardly blame him for wanting to get an immediate advantage over Tiger, forcing him to birdie 18. Henrik Stenson was my other player in contention and at the end of round 3 he certainly looked to be a massive part of the story. He had his chances and had it not of been for a bogey at 18 he would of finished T3, but with him coming T5 it was another place finish for one of my players and I cannot grumble to much at that. Hopefully some of you were on him and got some profit back, and to those who were on Sergio, I feel your pain. What do you do to get over the past week? Dust yourself off and look ahead to the next tournament, and that’s exactly what I am doing as we look forward to the 2013 HP Byron Nelson. Like many other tournaments recently, no one player has dominated this event in recent years, with the last multiple winner being Bruce Lietzke who won the event for the 2nd time in 1988 and there have been 10 different winners in the last 10 years, with Jason Dufner the most recent in 2012. The event was originally played on both courses at Four Seasons, but since 2008 it has only been played on one course, with all four rounds being played on the TPC Four Seasons- Las Colinas. 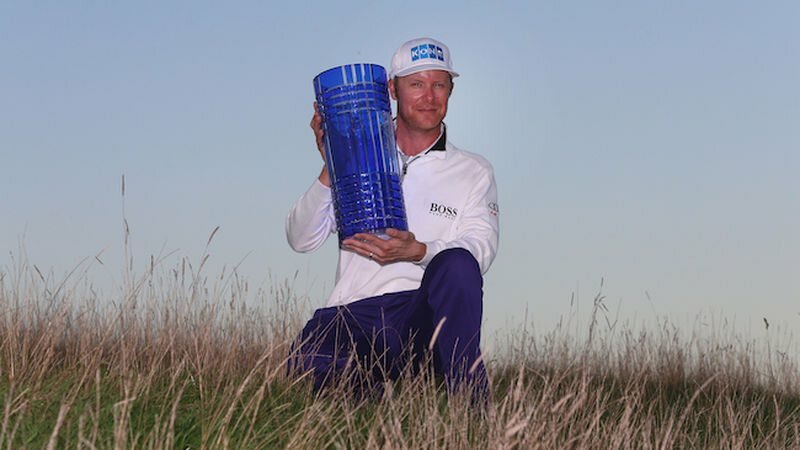 Let’s take a look at what it takes to win the HP Byron Nelson. The Course: TPC Four Seasons, Par 70, 7,166 yds. This course has been the sole home of this event since it was redesigned by D.A. Weibring and Steve Wolford in 2008. In 2011, it was ranked 5th from 51 courses in difficulty, when -3 was the winning score. The winners list is full of quality since 2008, with the last five winners in order being, Jason Dufner, Keegan Bradley, Jason Day, Rory Sabbatini and Masters champion Adam Scott. The scoring can be infrequent here, as Keegan Bradley won with -3 in 2011, whereas Sabbatini shot -19 to finish two clear of Brian Davis and three clear of D.A Points. Since that -19 winning score in 2009 the winning scores have been -10, -3 and -11 so around the -10 mark should be what the players are looking at this week, weather permitting. The layout features large undulating greens, and poor shoots around the green are punished by run offs into closely mowed areas around the green. The 18-hole record at this course is 61 last achieved in 2010 by Cameron Beckman, but since then 64s in round 1 from Jeff Overton in 2011 and Ryan Palmer in 2012 are as low as it’s been. Defending Champion: Jason Dufner was the HP Byron Nelson champion in 2012, his second win of the year. He held off a challenge from D.A Points and also J.J Henry until he double bogeyed the 17th hole. Both Dufner and Points shot identical rounds over the weekend, both finishing their weekend 69, 67. It was Dufner’s 2nd round 66 that put him in the driving seat, following his opening round of 67 and he was consistent all week. Accuracy was the key to Dufner’s success winning last year, and that is a big part of his game on a whole. Last season he was 1st in Greens in Regulation (80.6%), 2nd in Driving Accuracy (75%), 9th in Driving Distance (316.6 yard avg.) and finally 56th in Strokes Gained-Putting (0.406 per rd) something he didn’t rely on to get it done here. He isn’t in the form he was last year coming into this event, but he is showing some positive signs, and returning to the place of his last win might be just enough to kick start his year. He’s 18/1 (StanJames) if you think he can do it again. In summary accuracy is of the highest importance at this course and that will definitely something to look for when picking your players this week. It isn’t the strongest of fields by any means, which is highlighted by the odds at the head of the market. The market leader is Jason Day who comes in at 14/1 who has yet to finish outside the top 10 in his three visits, and as mentioned previously won his first and only PGA Tour event here in 2010. It is a surprise that Day has not been more prolific on Tour considering his major performances in the past, and he will certainly be keen to add to his trophy cabinet here this week. There is definitely value to be found due to the odds of the top 9/10 players in the market so make sure you look further than the favourites this week. Here are my four picks for the 2013 HP Byron Nelson Championship. Marc Leishman 22/1 (StanJames & Coral) 3pts e/w: It’s taken me a long time to decide whether to include Leishman this week, for no other reason other than his price. At 22/1 it took me a while to decide if he’s who I wanted as my headline pick this week, as I was hoping for around 331/1, however the way he’s playing I could not leave him out! His last three results are, T8, T9 and T4, that T4 of course being at the Masters. He is in top form and he is returning to a course where he has enjoyed fairly good success over the years. His last four efforts at this course are, T3, MC, T12 and T8, yes he missed a cut two years ago, but he wasn’t in this form and I would really surprised if he was to miss a cut again here in 2013. Leishman looks ready to win for the 2nd time, and his Masters performance was the catalyst for that. I have seen worse 22/1 shots and with his obvious chance at winning I was in the end happy to go for him. Jeff Overton 40/1 (General) 1pt e/w: Overton has really started to find form this year, with his last four starts ending in finishes of, T26, T42, T7 and T27. Add this to the fact that he’s 2nd in Total Putting, which can only add to your confidence, and you have what looks to be a solid pick for the week. His course form however is the main reason I’ve gone for him this week, and with him showing posting some good finishes here, you can see why he comes in at 40/1. Apart from his Missed Cut last season his last three results at this course are, T8, T2, and another missed cut. I can forgive him for those missed cuts, due to the other two Top 10’s and his current form, I really fancy his chances this week and he shared with my next pick are my mid value picks for the week. Jordan Spieth 40/1 (General) 1pt e/w: Texas born Jordan Spieth is a player that I am a fan of, and I don’t think it will be long before he’s in the winners circle, despite being just 19. He already has three top 10 finishes so far this season, and he is a player, despite his young age that has fond memories of this course. He got a sponsors exemption in 2010 at just 16 years old, and took full advantage of that finishing in a tie for 16th. He followed that up in 2011 with a T32 and with those two appearances under his belt, his confidence should be pretty high. This is his first year as a professional on Tour and as previously mentioned, he has shown some excellent form. I think at 40/1 he is worth a bet and one that I definitely want on side. Spieth is 29th in Driving Accuracy and 49th in Greens in Regulation so he’s in the top half of both categories, a big advantage at a course he is already familiar with. He may consider this one of his best chances to win this season and if he keeps up his fast start to the season he will definitely have a chance. James Driscoll 150/1 (General) 1pt e/w: Driscoll has been someone I’ve wanted to pull the trigger on all season long and this week is the one. After two decent results in his last two events, T26 in The Players and T38 at the Wells Fargo, Driscoll is starting to show form that he enjoyed early on in the season, when finishing T9 at Pebble Beach. His course form is pretty steady as well, coming T19, T8, T59 and T35 in his last four visits, so he will look to continue his form from the last two weeks here in Texas. The price seems big for a player with his record and relatively good form and he is my outsider this week.